The contact with nature is one of the most powerful natural training. 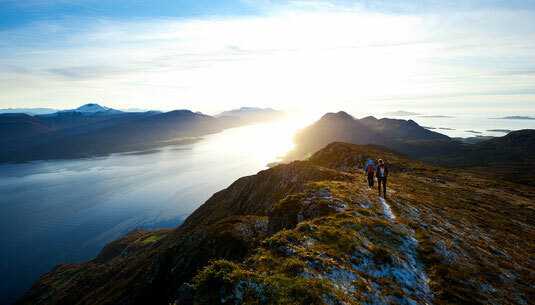 No matter what are the distances or the difficulties, hiking is a way to test your skills and reach your limits. It gets even better when you are away from stress and noise of large cities, with the possibility of being outdoors between pines and oaks. 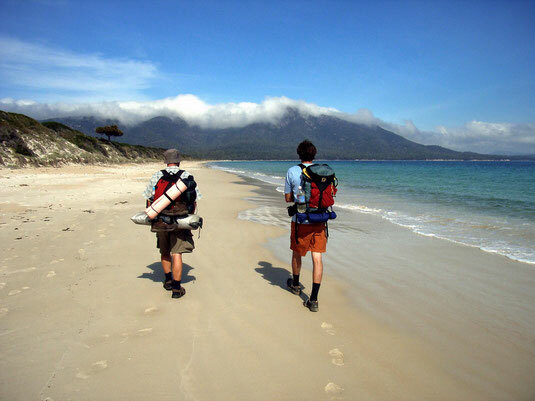 There are multiple reasons why you should go trekking, but we will try to make a ranking of the top ten. Let's start! At certain times in our lives we feel overwhelmed, full of thoughts and think we do not have any more energy. In these moments we need to go to a place that will help us to reorganize our thoughts. Nature can help us in the most genuine way possible. When seeking for peace, we can reduce stress. Do you ever feel weak or tired? Have you lost the energy that has always been typical of you? Outdoor trips can be somehow hard at first, but with these experiences we find energies that we did not know we had. And gradually we feel stronger than ever. Any kind of sport can contribute to the proper functioning of our body. And if while doing sports you can also breathe fresh air, the effects you can get are incredible. Spend less time locked up at home or in a pub and your health will thank you. When we are in the middle of nature we feel insignificant. We look at the smallest details; we pay attention to the things we normally overlook, developing a greater inner harmony. Doing Hiking helps to clear our mind. When we are doing outdoor activities we can forget about everything, but when we get back again work, we are much more focused and motivated to fight for our daily goals. Walking in nature makes you realize how this is impressive, rich and perfect. Animals and plants unknown in the daily life, spontaneous relationships among the various natural elements makes us realize that we are only a small part of this planet and helps us to settle with more awareness within the universe we live in. Visiting unknown places with the help of ourselves only makes us think differently. It helps us to think about how to achieve our goals in a completely autonomous way. It is definitely a good way to encourage positive thoughts and increase your self-confidence. The feeling of freedom encourages the sense of creativity that we all have. Sharing time in a special environment with your friends or your family helps us to have ideas flowing in a more brilliant way in our minds. Sometimes we are not totally satisfied of what we have. But when we leave our house for a time, the desire to return, however, grows quickly. Our house is a base camp that we are not always able to fully appreciate. Doing outdoor activities, getting tired and be exposed to climatic agents helps us to appreciate what we already have in our lives. Each of us is overwhelmed with internet, social networks, mobile phones, tablets, portable charger and so on. We use to live in a close contact with all these electronic devices, sometimes we build more virtual than personal relationships. In this way we often need to stay in a more intimate place, talk with ourselves and understand more what we need in order to feel better.